Most Wellington 40k tournament players know Aaron Twose. He has been attending events for over 10 years and is always a great and fun opponent. 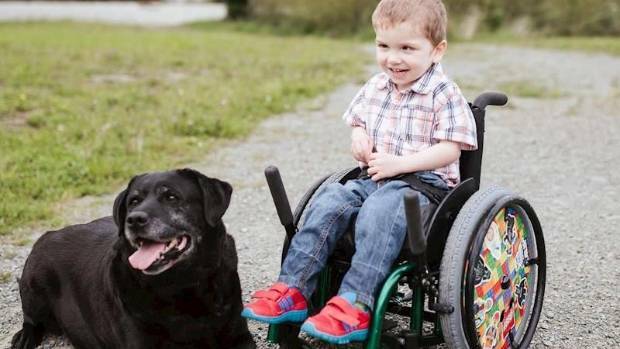 Aaron's three year old son, Hugo suffers from cerebral palsy. I personally can't think just how bad that must be for his parents, as well as himself. You can read a recent article that appeared in The Dominion Post here. At the recent Maelstrom event run by Hagen Kerr, the attendees were able to raise money to go towards getting treatment for Hugo. This was a wonderful initiative and I know was greatly appreciated by Aaron. Coming up over the next few months will be more fundraising events aiming to raise the necessary money to get Hugo the further treatment to make his life easier. One of these is something that all 40kers can get behind....a fundraiser featuring the new Star Wars movie. It would be great if the Wellington wargaming community could get behind this en masse. I'll post details nearer the time but as they say in politics "Let's Do This"
EDIT: Aaron has provided the two dates for movie nights - 17th & 19th December. Please mark these in your diaries wargamers. I'll let you know when tickets are available. Best of luck with this. I was more than happy to lend some prize support as part of Hagens event. Hope we can get some big bucks for this little fella.